Your business data, files, and apps made available anywhere, anytime, from any device. Moving servers and software to the cloud provides your business with a vast array of benefits, including enhanced productivity, collaboration, and massive cost savings. Diversified utilizes world-class software to deliver cutting-edge cloud solutions for your business. You’ll be able to enjoy higher mobility since all your apps and data can be accessed from anywhere, via any device, allowing your employees to stay productive on the go. Give your employees secure access to mission-critical data from virtually anywhere, so they can collaborate and stay productive on the go. It’s easy to scale the number of users or storage space to accommodate surges or drops in computing resources demand. There’s no need to pay for expensive hardware of maintenance fees, everything is covered for an affordable monthly subscription. Consultancy - Our experts combine their cloud knowledge and business acumen to deliver a solution that meets your organization’s needs and budget. Migration - From planning to deployment, Diversified will walk you through every step of your cloud implementation. Training - We offer onsite and web-based training seminars for system administrators, managers, and other employees to incorporate the cloud into their daily practices. Support - Our cloud technicians are available around the clock to resolve technical issues and alleviate security headaches. When you sign up for our cloud services, you get enterprise-level cloud solutions designed to empower remote employees, increase business flexibility, and improve team collaboration. And the best part, every aspect of our cloud service -- from the implementation to the ongoing maintenance -- are managed for you at an affordable monthly fee. 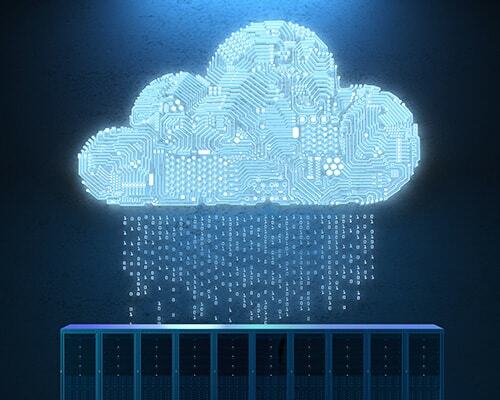 Many organizations aspire to move their data, applications, and network systems to the cloud, but don’t have the necessary resources to execute a successful migration. At Diversified, we assist you in your cloud transition and provide ongoing support long after the process is completed. Our seasoned technicians will keep your business IT running at peak performance for an affordable monthly fee. Make the right technology designs with advisory services from professional IT consultants. Improve business communications and collaboration with an enterprise-level, feature-rich phone system.